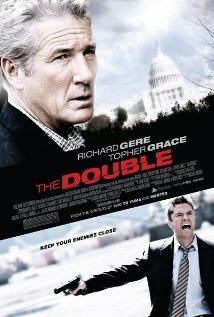 The Double 1/5 stars: Might be the worst movie ever. It's impossible to identify with the main character, the movie is incredibly violent, and the twist at the end doesn't even work. Sad excuse for a Russian spy movie. Atlas Shrugged (Part 1) 1/5 stars: Poor acting. Halfway through the movie our two heroes sleep together even though he is married to someone else. I suppose capitalism makes us all selfish and only looking out for ourselves. 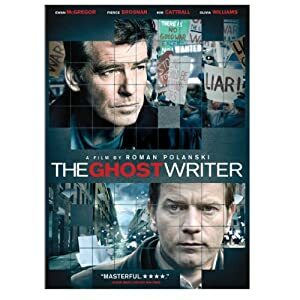 The Ghost Writer and The Final Cut 1/5: I'm putting these two together because they were both disappointing and had incredibly lame endings. Potential to be cool stories but no follow through. 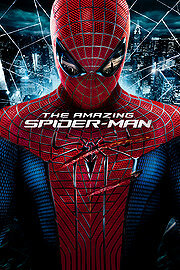 The Amazing Spiderman 2/5: Nowhere near the quality of the Toby Maguire version. If it ain't broke, don't fix it. The Vow 2/5: Yes, it was sweet. I didn't mind the story. I didn't mind the actors. I don't love romances generally, but it was okay for what it was. What got me was how much they had to show them in bed together. Sure, I get it, they're married, they love each other. I still don't want to watch that stuff. Extremely Loud and Incredibly Close 2/5: This movie was trying to be extremely profound and incredibly moving... but it just ended up being kind of long and a little bit annoying. If you're going to make a 9/11 movie, don't just count on it being moving because of the subject matter. The Tree of Life 2/5: This looked like it could be really good. The preview was filled with artsy, stunning images and looked promising. But the film's three separate stories/themes were too much for just one movie... and they didn't really fit together. Sean Penn's character was totally irrelevant and a waste of film space. Sorry. Maybe I'm just not artsy enough to enjoy true artsiness. The Yellow Handkerchief 3/5: This movie had kind of an indie feel to it. I watched it while Josh was out of town. A convict gets out of jail and goes on a roadtrip with two teenagers and none of them know each other at all. We keep seeing flashbacks of the convict guy that make us worry that he is going to do something to Bella. I mean Kristen Stewart. I would almost say it's worth watching, though, just to see a different facet of Eddie Redmayne's (Marius from Les Mis) excellent acting. It's hard to believe he's the same actor. 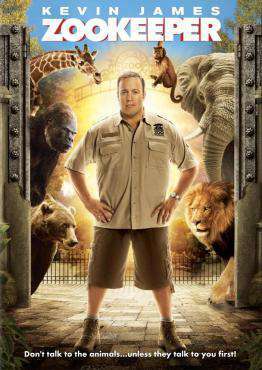 Zookeeper 3/5: I got it because Josh was going out of town and I was looking for something he wouldn't want to watch. If I had known that Adam Sandler was one of the producers, the movie would have made muuuch more sense. It had lots of awkward, random Adam Sandler humor but it was fun enough. PG. Wreck-It Ralph 3/5: The animation was pretty. Maybe it was the voice of Sarah Silverman that turned me off a little. Why do they always have adults do kid voices? Poor little Joshy cried when Ralph smashed the little girl's car. So apparently the movie was emotionally traumatizing. Mirror Mirror 3/5: Can we talk eyebrows? When I first saw Snow White, all I could think of was how big and black her eyebrows were, but by the end of the film all I could think of was how beautiful she was. So apparently eyebrows grow on you... This movie was silly. You knew it would be. The Odd Life of Timothy Green 3/5: Not bad. Sweet. I feel like something was missing... like they had a lot of potential with the story and didn't quite deliver. Still, not bad. Jennifer Garner did a great job and the kid was a cutie. The Iron Lady 3/5: I enjoyed the depiction of Margaret Thatcher's relationship with her husband. It was charming. However, upon finishing the movie, Josh made the excellent point that it portrayed Margaret Thatcher as a bumbling, stubborn, senile old lady who has frequent hallucinations. Did the story have to be told that way? If someone made a movie based on your life while you were still alive, which aspects of your life would you want them to focus on? So perhaps this movie was pro-Margaret on the surface, but had a more subtle message that wasn't as positive. The Dark Knight Rises 3/5: I kinda already reviewed this one. I'll just add that it's totally lame that Batman slept with that lady. He didn't know her that well and he never did that in the other movies even with the love of his life. Remember how Batman is supposed to be a hero? Men In Black III 3/5: A fun idea. Definitely better than MIB2, but could we ever trump the first movie? The one that was the first of its kind, combining comedy and aliens and cool rappers? I also felt like MIB3 didn't quite close up its plot in a cohesive way. Not as satisfying as it could have been. The Avengers 3.5/5: Please forgive me because maybe you loved this movie, but it was just so typical superheroes-fighting-lots-of-scary-bad-guys. I didn't find anything out of the ordinary about it. It was fun for what it was, but it didn't stand out to me. Bernie 3.5/5: Hmmm. I still can't decide how I feel about this movie. Did you know it's based on a true story? And that Bernie is still alive? This is one of those stories that you feel weird laughing about but you don't know how else to deal with it. Maybe you should watch it and tell me what you think. Jack Black definitely at his finest. 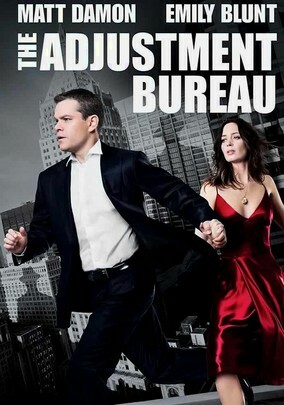 The Adjustment Bureau 3.5/5: This was a cool idea. And you know I love Emily Blunt. I could have done without them waking up in bed together (if I remember correctly... it's been a while) but I liked the idea of the movie. It was creative. Robin Hood 3.5/5: Bloody. Dramatic. Bloody. 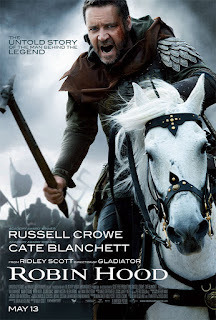 I did enjoy Cate Blanchett as Marion and I liked how the plot differed from the traditional Robin Hood story. John Carter 3.5/5: If this movie had a better name, maybe it would have done better. Talk about the most boring title ever! Sometimes it felt a little silly to me but it was an enjoyable movie. 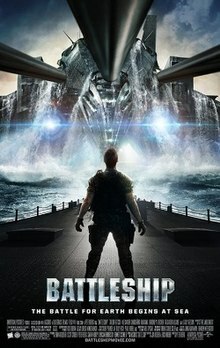 Battleship 3.5/5: This movie surprised me. I was expecting a typical Transformers type of movie (which I detest, by the way) full of lots of action and cool CGI but no good story. Look, I'm not going to lie, it was pretty typical in a lot of ways, but what I thought was awesome was how it was kinda making fun of itself. The monster's teeth flying out of its mouth in slow motion, the guy who gets arrested for trying to steal a burrito, the very unheroic hero. Also, I expected Rihanna to be totally lame and I actually liked her. So there you go. An entertaining, albeit silly watch. Footnote 4/5: This movie is about the relationship between a very stubborn father and his son. They are both scholars in the same field and competing with one another. It leaves you wondering what you would do? It was well done. 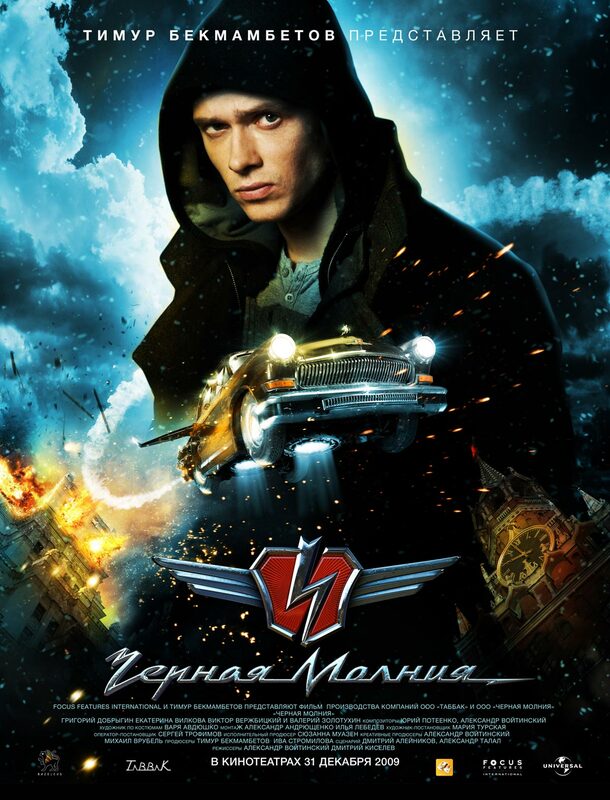 Black Lightning 4/5: This is a Russian superhero film. Funny and fun. We really liked the main character. Netflix streaming. The King's Speech 4/5: We Clearplayed this and fast forwarded the F-word scene. It was an interesting movie. 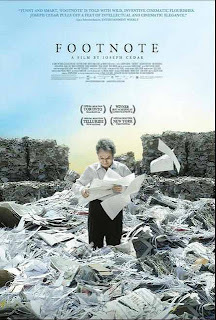 It is more slow-paced and thoughtful but worth a watch, especially since it's based on a true story. 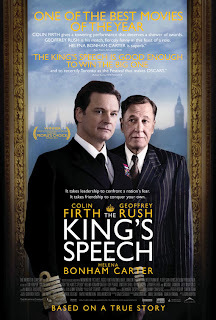 The special features had a recording of the real king talking, and Colin Firth did an excellent job of imitating his speech. 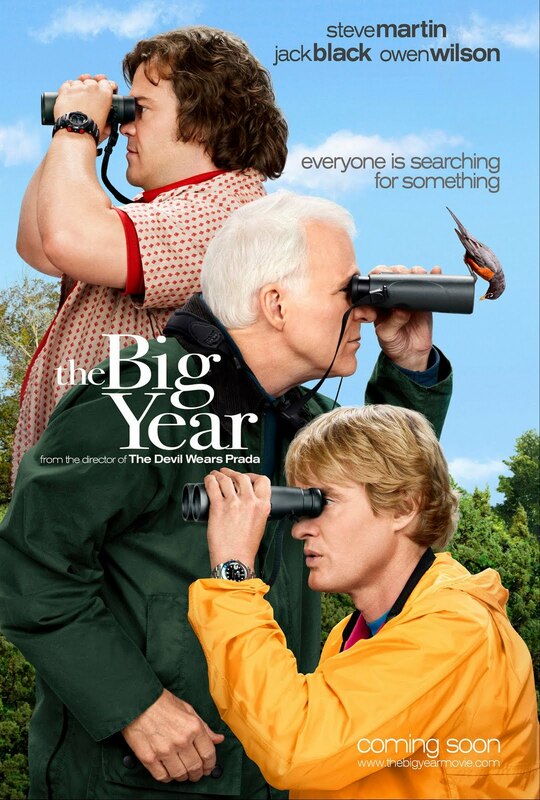 The Big Year 4/5: I was ready for this movie to be hilarious. It wasn't. In fact, I wouldn't even call it a comedy. You'd think that Steve Martin, Owen Wilson, and Jack Black all together in a movie about watching birds would have you rolling on the floor, but it was more of a thinking movie with things to say about life and priorities. I enjoyed it though and loved that it was only PG. Support these movies! Les Mis 4.5/5: I wouldn't say it was better than the 1998 version, but overall it was very well done. There were a couple of scenes in the movie that, had I known they were there, would have kept me from going to see it. I know Victor Hugo infused his story with some very adult themes, but there are ways of telling a story without showing everything. When did it become okay for a 13 year old to see that? That said, the constant closeups of not-so-perfect faces were refreshing. How many huge, epic movies like this don't give a hooey about making the actors look their best? How often does Hollywood show us real people with real complexions? Real faces? Snot? I was able to stop worrying about if the actors were well-trained singers, or beautiful, or even good actors. I didn't care. I just got enveloped by the story and the experience. The actors were vehicles for Victor Hugo's voice and the moving musical score and the reality and poignance of the human experience. I really did feel that way, but of course I still have lots to say about the individual actors and their contributions. Russell Crowe didn't quite convince me. I know it's sad, but at the end, right before he makes his final choice, all I could think about was Geoffrey Rush. It might have been his vocals, or (as Josh suggested) the fact that Crowe's one, grim facial expression didn't show us enough of his inner conflict. Still, I didn't mind him too much. As you know, in general I am quite turned off by Anne Hathaway, but in this movie I think she did a really good job. And her vocals were beautiful. I may or may not have cried during her screentime. Sure, she was given a sob story, but she made it her own. As I mentioned earlier, Eddie Redmayne was in The Yellow Handkerchief. In that movie, he was a weird, antisocial, special needs kinda kid and so I was amazed when I saw his stunning performance as Marius. Wow, he was good. What a talented actor to play two such different roles. He has so many facial expressions, so much depth. He was probably my favorite. Cosette... well, if they could have brought the musical score down by two steps, I think she would have sounded less like a chipmunk. I think her voice (tremolo and all) is nice enough, but they didn't do her any favors by putting her up in the stratosphere. She was just fine overall, though. Hugh Jackman did a very good job, little Cosette was just right. Eponine was wonderful. Her scene all wet with rain was moving and real and unglamorous, which just added to her strength. The Thenardiers were just right, even with how many movies I've seen Helena Bonham Carter in lately. 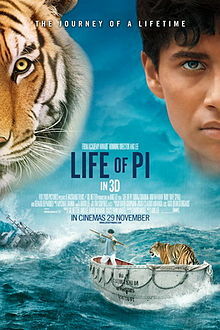 Life of Pi 5/5: Beautiful, bright, brilliant images. Stunning performance by the main actor, Suraj Sharma. And the tiger, of course. I can't tell you how it ends, but it definitely makes you think. Poignant and pretty. And anything that is high quality and only PG gets my vote. If we support these films, they can make more of them! If you watch it, I'd love to hear what you think the movie was trying to say. The Hobbit 5/5: In my experience, most movies based on books feel rushed. Harry Potter fans, for example, will throw a fit if you don't squeeze in every last character and detail and plot point from the book, so they stuff the movies so full that you don't quite have time to settle in and get the feel that the book gives you. The Hobbit's pacing felt quite different to me, and of course that is due to the fact that they have three whole movies to develop the story and the characters and the mood. Josh and I came up with the word "indulgent" to describe the length and breadth of some of the scenes in the movie. The part where the unexpected dinner visitors show up at Bilbo's house? No way they would have dedicated so much time to that scene if there had only been one movie. We definitely benefited from the leisurely pace at which the story was told. Although, honestly, I was relieved when the Gollum scene was finally over. Blech. Bilbo was perfect, as he has been in any movie I've seen him in. And did you know that the Thorin dwarf guy is the guy from North and South? For some reason I find that hilarious. 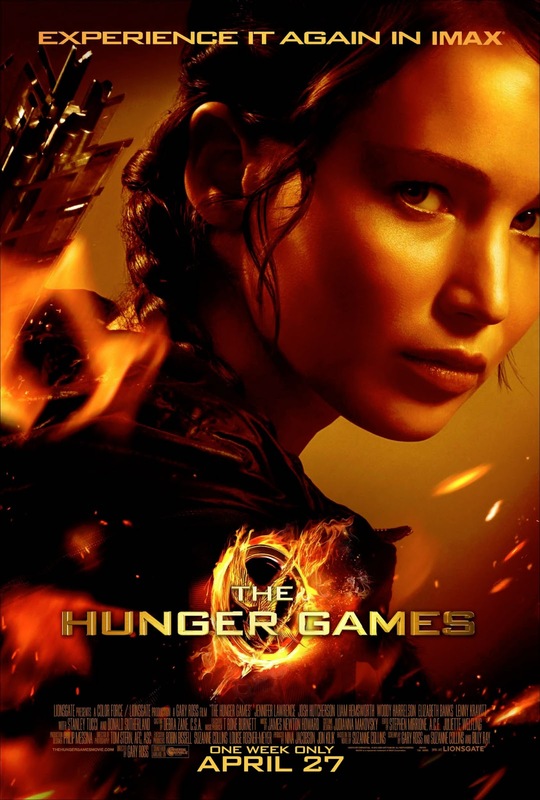 Hunger Games 5/5: Very well done. The movie was true to the book. The shaky camera technique made sure it was never easy on the eyes to watch kids killing each other. Katniss and Peeta were perfect. Hair isn't everything. Agree with me? Disagree? Think I'm too harsh? Fall asleep before you made it to the end of this post? Adele! I'm often too lazy to comment on blogs but my love of Bernie is driving me to comment. I seriously loved it. I don't know if it was the mood I was in at the time I saw it but I died laughing the whole time and felt terrible about laughing. Which made me love it more. Well acted and a crazy true story. The actual people from the town made it for me. Also, the song at the end? We sing it in my apartment all the time. Whew. I just bought it on Amazon because you reminded me how much I loved it. I thought John Carter was ridiculous and not in a good way. I laughed like it was meant to be the comedy of the year. I also liked The King's Speech a good amount. I still need to see Life of Pi and The Hobbit. Thanks Adele. I have added some of these that are available for streaming to my netflix queue. I never know what to try, so your advice helps! Awesome reviews! Just my kind of blogpost :) And now, since I'm your sis and can do whatever I want, I am going to rate the ones on your list that I've seen. Aren't you so excited? Ghost Writer- D. I agree it was so blah. All that potential and... nothing. What a disappointment. The Dark Knight Rises- C. Honestly, I knew this movie could never live up to the standards created in my by it's predecessor. I thought Bain's voice was kinda cool and that's about it. I thought it was majorly predictable and I agree that it was out of character for Bruce Wayne to sleep with that chick. Lame. I also felt a lot of the script was doofy. Men in Black III- C+. Fun, I guess. 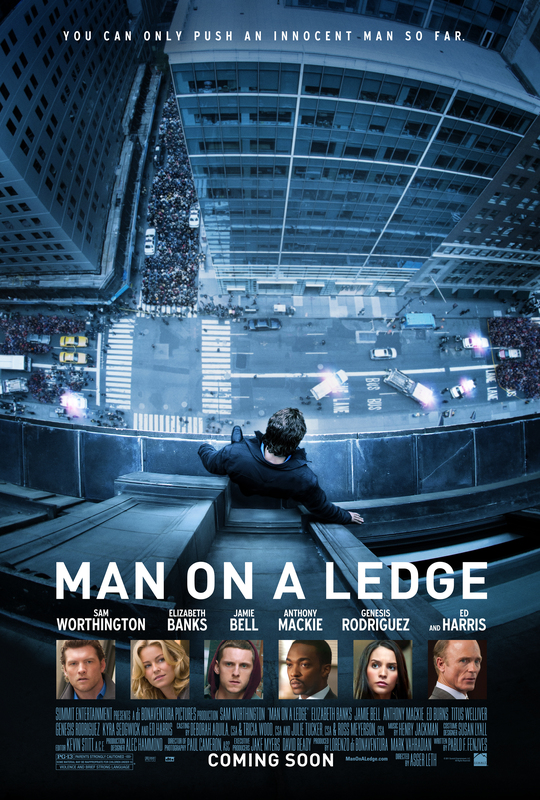 I thought Josh Brolin was good at mimicking Tommy Lee Jones, and that was enjoyable. I wish that Will Smith would take on some deeper roles, however, because I think he's actually pretty good when he's not doing his worn out shtick. The Avengers- B-. I wanted to give it a lower grade, but to be fair I have to admit that it was pretty entertaining- in a safe, reliable way. Mark Ruffalo was the best part of this film. Why why why are there nothing but super hero revamps these day? Everyone I know complains about it. Is anyone still excited by this same theme over and over? Sheesh. Bernie- ?. We turned it off after that first scene when he's doing a demonstration about how to prep a dead body. Gave me the heebie jeebies. Now I'm wondering though, that if we'd gotten past that scene if we might of liked it. I like Jack Black. Hmmm. Adjustment Bureau- C+. Cool idea, pretty silly in its execution. Matt Damon? Blah. Emily Blunt- fab dancer! Not surprised really. Robin Hood- C+. Pretty bloody, hey? I can't remember much more than that. John Carter- A! I loved John Carter. I'm such a sucker for sci-fi, seriously. I know it was pretty cheesy and the leading lady was a silly-pants, but I really really liked this movie anyway. Felt kinda wholesome (prob cause the original stories were written a while ago). It didn't hurt this movie that the critics didn't like it- it was such a pleasant surprise! So fun. I wish they'd do another. King's Speech- A. I really liked this one as well, although I was prepared not to because it got so many Oscar noms. Colin Firth was great, and Geoffery Rush, as always, was fun and fab. The Big Year- A-. We liked this one as well, mostly because it wasn't very funny. How refreshing, for a movie that stars such funny guys to have such a plain and simple message. Refreshing. Les Mis- A. First and foremost, I absolutely agree that if I'd known the nature of two of the scenes in this, I would not have seen it in the theater. Yuck. But it WAS very moving, nonetheless. I thought the imperfect vocals were one of the best parts, vocal snobs be-darned. I loved (ehem) AH, Hugh Jackman, and Marius the best, because I felt their performances were the most honest. Amanda Seifried was fine and the Thernardiers were about as vile as I suspected they'd be (I cannot stand the actor who played M. Thernardier, so he was perfect). 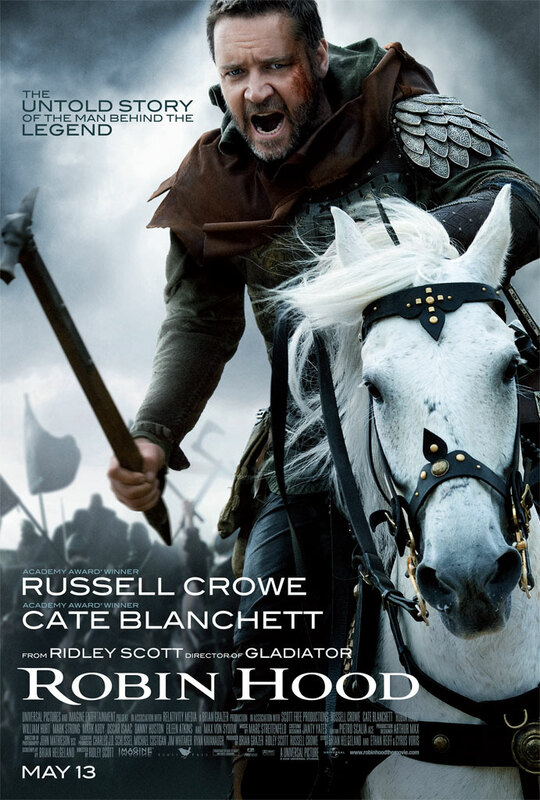 Russell Crowe was... kind of boring, I guess. I too know why- Geoffery Rush has ruined me for that role forevermore! He was just so so so so so so good. But you know what? Liam Neison was so good in that adaptation too and that didn't stop Hugh Jackman from rocking his own interpretation as well. So Russell Crowe failed for me. Also, and I seem to be one of the only people who feel this way, Eponine didn't really do anything for me. Her face was just so one note. Her voice was pretty but it just didn't hold the anguish I was hoping for. I didn't really care about her story very much, which is not true about how I feel about the character when I listen to the music. I was disappointed by that. All in all, an amazing movie. Hobbit- A. Fun. Honestly, exactly what I was expecting. Love Martin Freeman in everything he's in. As for the other films: haven't seen them, but now maybe I will! (Well not all of them, just the high ranked ones.) Thanks again for the reviews! I loved reading this post! I'm glad you read my blog-thank you-because I LOVE reading yours. I have seen maybe one of those movies (Hunger Games). But if you thought the 1998 version of Les Mis was better than this one, I better not see it because I hated the 1998 version...and I am a little nervous to hear Cosette sing bc that girl didn't win my heart in Mamma Mia. That said, I will still watch it when it comes out on video, I'm sure. Thanks for the honesty, though, I was definitely wondering about some of those-like Timothy Green and that one about 9/11. Yes, GhostWriter was a blahsnoozefest. I just couldn't take Adjustment Bureau seriously. The hats through the doorways. It could've been cool, but I just couldn't handle the hats. And yeah Big Year! I really liked that movie, and kind of liked that Owen Wilson's character was a jerk. Still want to see Life of Pi, and of course, loved Hobbit. I remember during the movie, feeling the same was as what you typed. I was fine with the movie taking a while and being almost three hours cause it's a good story, it was well-made, and I liked it. So what if Peter Jackson is gonna make billions more on the other two movies, they're good. People like them. And Warrior, interesting. I need to try to get Cam to watch that. Maybe your review will help. I just saw this post and had to comment about one movie. We LOVE Wreck It Ralph in this house. We loved it so much we saw it in the $1 theater 3 times. Then we bought it as soon as it came out. We never do that. I guess just a difference of opinion but every time we watch it Ryan, Marley and I are laughing from beginning to end and we are always quoting it. I guess I can't stress enough how much we love that movie.